Keeping moisture locked into your hair is extremely important to prevent damage. 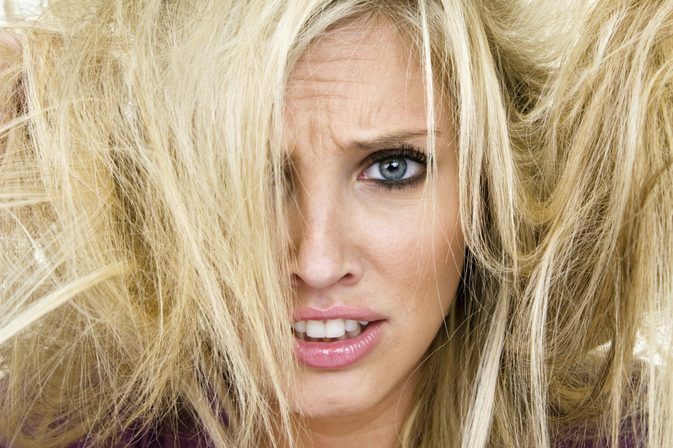 Damage often occurs due to moisture being released, leaving the hair brittle and dry. This gives it a frizzy look and can cause it to break off at the ends. Sealants are oils that help to provide a seal around the hair. This keeps the cuticle in good shape, which helps to lock moisture into the hair and gives that luscious silky look, keeping the hair thick and smooth. A sealant is an oil-based product that helps to seal the hair shut. When we moisturize the hair, we use water-based products to infuse the hair with liquid, boosting its strength and silkiness. However, it is easy for this moisture to leave the hair either naturally, through evaporation or due to applying heat products and chemicals. Sealants are oil-based products. Oil has larger molecules than water and works simply by blocking the porous hair strands. This prevents the water from seeping out the hair. By covering the outside of the hair with oils, the area becomes less porous, which seals up the hair. Equally, oils help to repair the cuticles that naturally seal the hair. By doing this, the oils themselves seal the hair, while also repairing the natural seal. This provides double protection, locking the moisture in twice as much; kind of like double-locking a door. What is the Difference Between Moisturizer and Sealant? In the most basic sense, the difference between moisturizers and sealants is that moisturizers tend to be water-based and sealants oil-based. In order to make something moist, you wet it. In this regard, moisturizers are products that add moisture to the hair, infusing it with water. This prevents it from dryness and therefore brittleness. Sealants lock that moisture into the hair. In this sense, they need to serve as a coating that stops the water from leaving the hair. This explains why oil-based products are used as the larger molecules block the water from escaping. That said, not all oils are made equally! Some oils have bigger molecules than others. Oils with smaller molecules can penetrate the hair and help to soften it from the inside, giving the impression of moisturizing. These oils tend to be oils that are thinner, such as coconut oil, sunflower oil, and palm kernel oil. These oils will seal the hair when used in large quantities, but a little will soak into the hair and give that silky, smooth feel. Oils with larger molecules such as argan oil, olive oil, and avocado oil are far better sealants. When you feel your hair getting a little dry, you need to moisturize it. Try using a water-based moisturizer as well as drinking lots of water. You can also use a thinner oil, like coconut oil, in this process. Once the moisture is applied, using a thicker oil will seal this moisture inside. If you just add sealant without moisturizing first, you’ll simply lock in the dryness. Why is it Important to Use Sealants? Do you remember the experiment at school with two cups of water? You add oil to one and leave it overnight. The oil forms a layer on top, sealing the water inside. By the next day, the cup without the water was half evaporated. When you don’t seal your hair, this is what is happens to your hair. You can spend all the time in the world shampooing, conditioning and moisturizing with care, but if you don’t lock the moisture in, it will just simply escape throughout the day. Sealing brings a whole bunch of benefits to the hair. Firstly, for people who use a lot of chemicals such as hair spray or frequently use heat products like a flat iron, this causes the hair to lose moisture far more quickly. By moisturizing and sealing the hair, you help to neutralize some of the damage you do using these products, replacing the moisture lost from the hair and preventing it from drying, frizzing and breaking off at the ends. Secondly, many people with damaged hair will find that it tangles far more easily. When the hair has a lack of moisture, it tends to gain split ends more frequently. These split ends cause the hair to tangle. Each time you drag a brush through it, it breaks the hair off. When moisturized and sealed, the hair tends not to get some many split ends. This means it tangles less often. With both those things combined, you’ll find that when you seal moisture into the hair, it tends to grow longer, quicker and appear more healthy. Where many people have long hair that tapers in thickness at the ends, hair with moisture sealed inside will stay luscious all the way to the ends. As the hair isn’t splitting or breaking away, it appears to grow longer much faster too! Always bear in mind the factors that dry your hair out. If you live in a dry climate, you’ll need to moisture and seal more often. Equally, curly hair types tend to dry more quickly than straight hair. Coloring hair or applying chemicals will also dry it out, as well as using heat products such as a flat iron or curler. Below are some of the best sealants for natural hair. They lock in the moisture and help to retain that silky feel and healthy look. 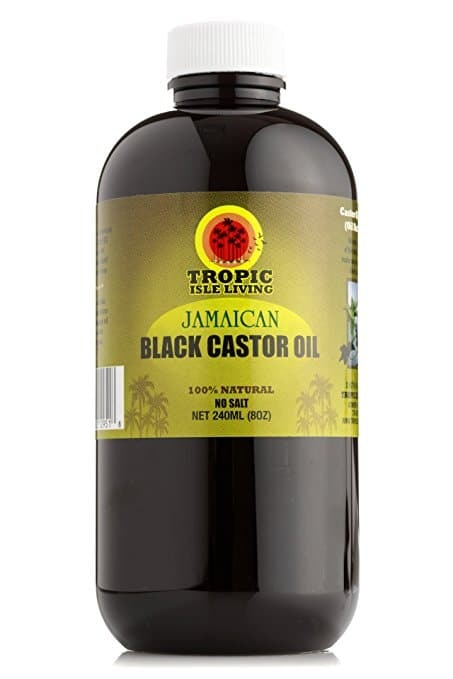 This oil has been proven to work as a stimulant that incites hair growth. It has a light ashy aroma due to its high ash content. The castor seeds are dried and ground and boiled to separate the oil, leaving an oil of medium consistency. Used to stimulate hair growth in eyebrows, eyelashes, and for baldness, this oil really helps to seal the moisture in. When applied to the roots, it thickens the hair, while it softens the ends when applied to the tips. To be a very effective sealant, it needs to be added to a thicker carrier oil, like olive oil. Grapeseed oil is a byproduct from the unwanted grape seeds in wine making. Grapeseed oil is high in vitamin E and ceramides. It is a light oil that does not have a strong odor. It contains both fatty acids and antioxidants. 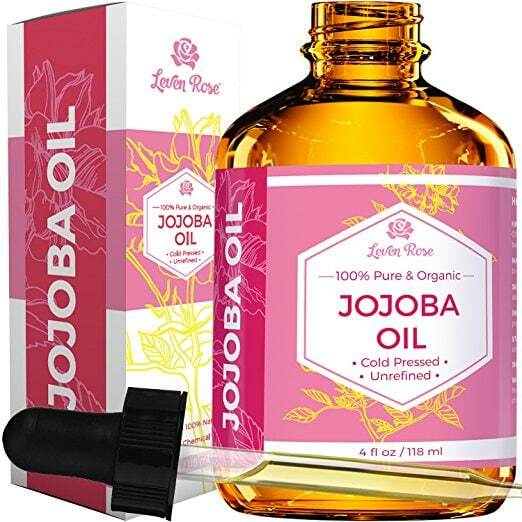 Jojoba oil comes from a plant called Simmondsia Chinensis and technically isn´t an oil but a wax ester. It is rich in vitamins B and E and contains high concentrations of important minerals like copper and zinc. It is quite a light oil and can sometimes have a slight nutty scent. It is generally better for people who have thicker hair. Jojoba has unclogging properties that allow it to unblock the pores and sink deep into the scalp. This stimulates hair growth and moisturizes the roots of the hair. The high concentrations of vitamins B and E are great sealants, retaining moisture and stimulating blood flow. The copper and zinc prevent hair thinning and loss. The copper and zinc are crucial in the production of sebum, the body’s natural oils. The presence of these minerals helps to stimulate your natural moisturising mechanism. If used in excess, jojoba oil can suffocate the hair. Some stylists say water-based moisturizing products should be added to prevent this. Some people have reported allergic reaction to jojoba oil so always test a small amount first. 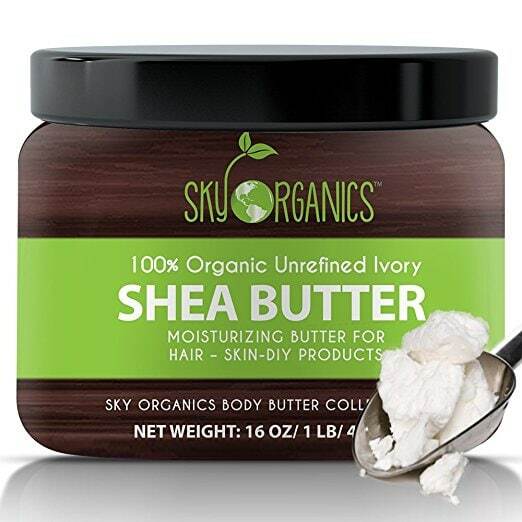 Shea butter is a fat extract from the shea nut tree, indigenous to Africa. Very high in vitamins A and E, it naturally contains cinnamic acid. Mainly used in the chocolate industry, shea butter has a very distinct smell and a beige color. A high concentration of vitamin A works to repair the cuticles of the hair. It helps the reparation of skin damage to the scalp, encouraging healthy hair growth. The vitamin E stimulates hair growth and balancing natural oil production. The cinnamic acid reduces inflammation in the scalp that causes hair loss. For curly hair, shea butter clumps the curls together, giving more defined ringlets or waves. It reduces flyaways and gives a sleeker look. It seals in the moisture very well due to its buttery thickness. It is such a thick product that it can make fine hair look very greasy. It needs to be used in small amounts. 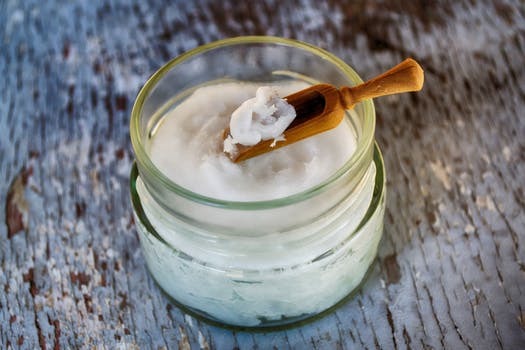 Shea butter is such a good sealant that it can actually repel water from entering the hair, as the thick coating it provides around the hair can be suffocating. It can be weighty, which can weigh in thin curls, giving a flat look. 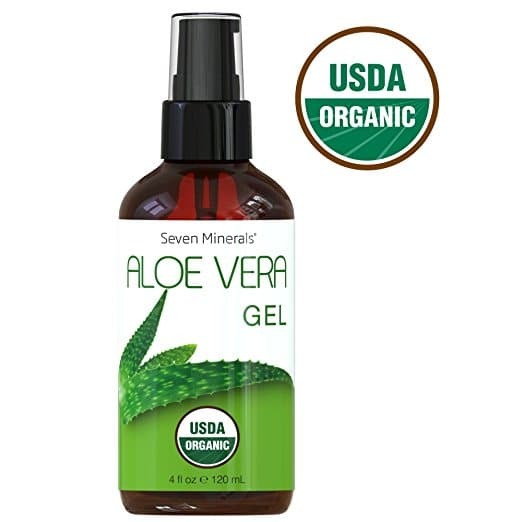 Aloe vera gel contains high levels of natural enzymes and the hormone, gibberellin. It contains over 75 different nutrients including amino acids, salicylic acid, and vitamins A, C, and E. It is also high in minerals, containing calcium, chromium, copper, selenium, magnesium, manganese, potassium, sodium and zinc. Gibberellin is a hormone that stimulates the growth of cells, including hair cells. By stimulating blood flow, it helps your hair grow faster. The minerals help to stimulate healthier, thicker hair, especially calcium, copper, and zinc. Zinc and selenium, combined with vitamin E help to prevent hair loss. Salicylic acid and vitamin E help to balance the natural oil production in the scalp and hair. Vitamin C helps to build collagen which helps the elasticity of the hair, encouraging growth and preventing brittleness. Try to make sure that you saturate the ends with water. Squeeze out the water and then add a sealant. If you don’t squeeze it out, the oils can slip away with the water. Make sure to use a thicker oil on the ends as they dry out more easily. Use twice as much oil on the tips than on the roots. Once sealed, protect the ends until they are dry by braiding them and pinning them back. Try not to touch them too much with your fingers or the oils will wipe off. Regularly trim the ends of your hair so they do not sap all the moisture from your hair. Don’t be scared to use different oils for the roots and the tips. You can use a thicker oil on the ends and a thinner oil that penetrates deeper into the roots. Always test the oil you want to use first to make sure it suits your hair type. Sealing your hair is the best way to lock in moisture. Moisturizing without sealing is a pointless task as the water evaporates from the hair, leaving it as dry as when you started. It is important to consider your own hair type before you embark on your sealing journey. Choosing the right oil-based sealant for you will make it far easier to achieve a healthy look without leaving the hair greasy and flat. Try testing different oils on various patches of your hair and always remember to test it on your scalp to make sure you don’t have any adverse reactions.